West Ham United 0 Brighton & Hove Albion 3, 20/10/2017. London Stadium, Premier League. 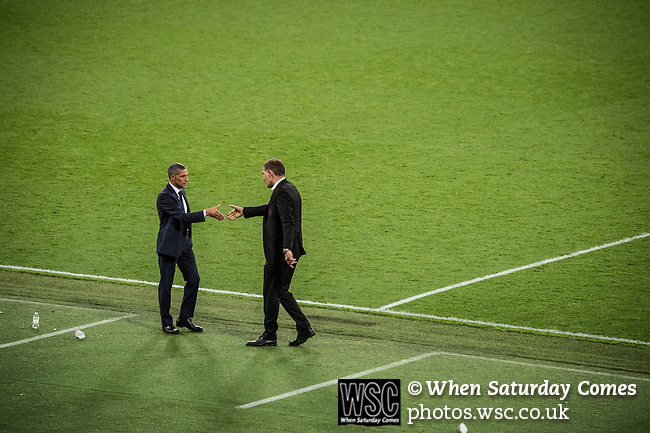 Chris Hughton and Slaven Bilic shake hands after the game. Photo by Simon Gill.